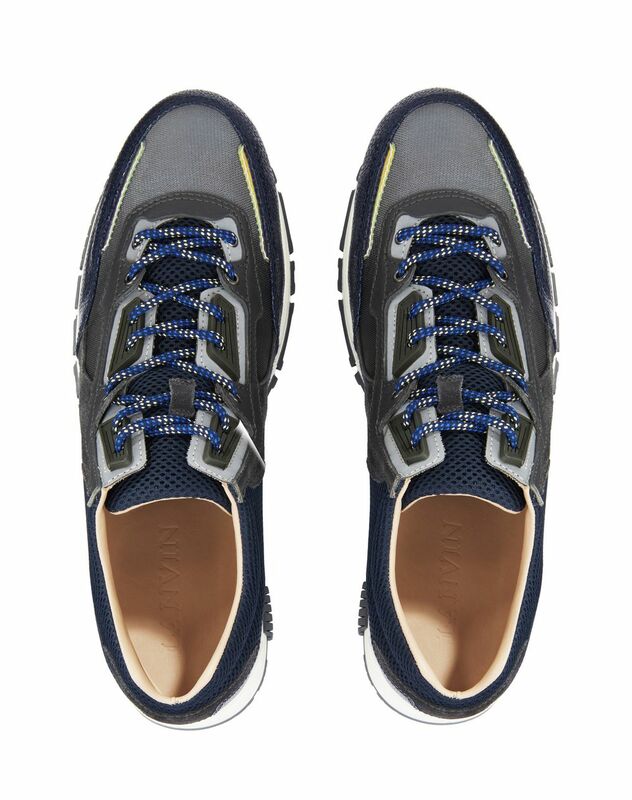 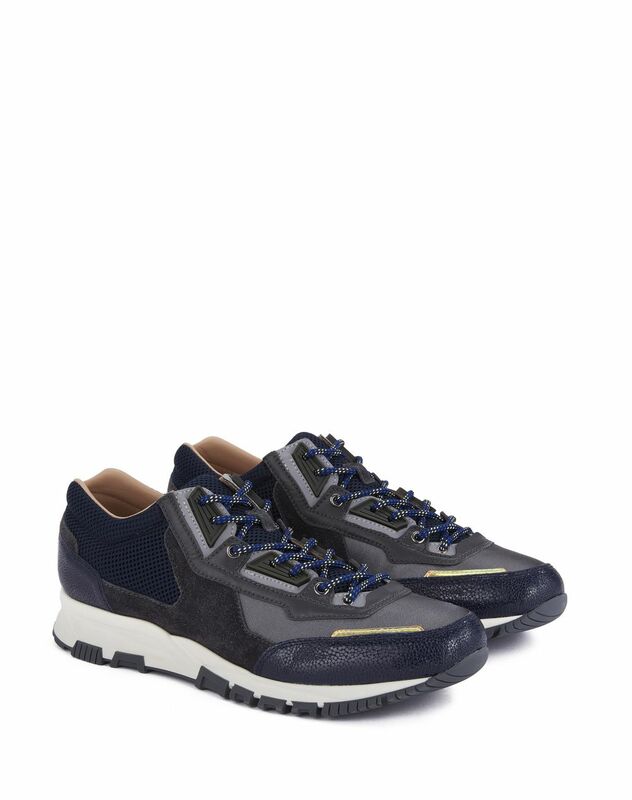 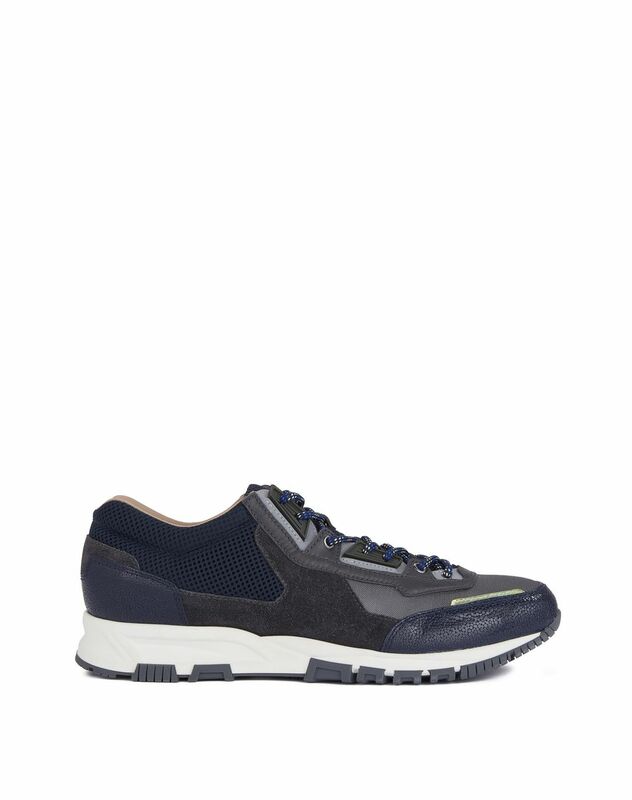 Gray and dark blue mesh and calfskin leather cross-trainer, tone-on-tone topstitching, contrasting laces, 100% beige calfskin leather lining, and two-toned TPU sports sole. 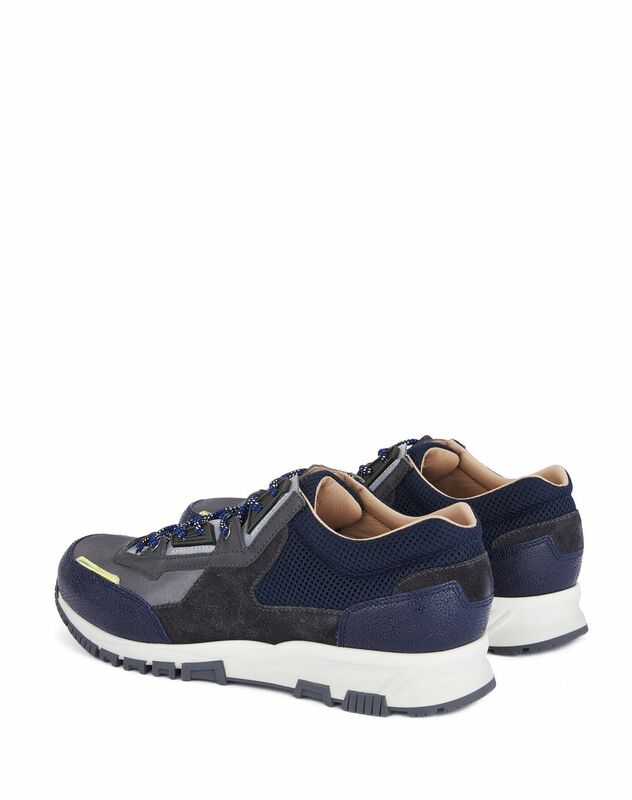 The casual style of the “Cross-Trainer” sneaker embodies the successful confluence of elegance and sportswear. 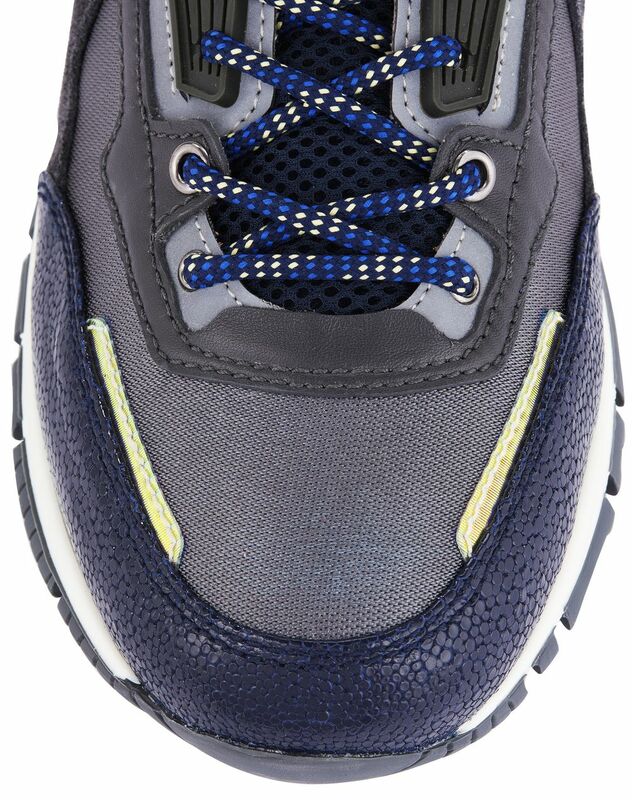 Fine mesh, a metallic effect, and contrasting laces provide a fashionable yet casual look.